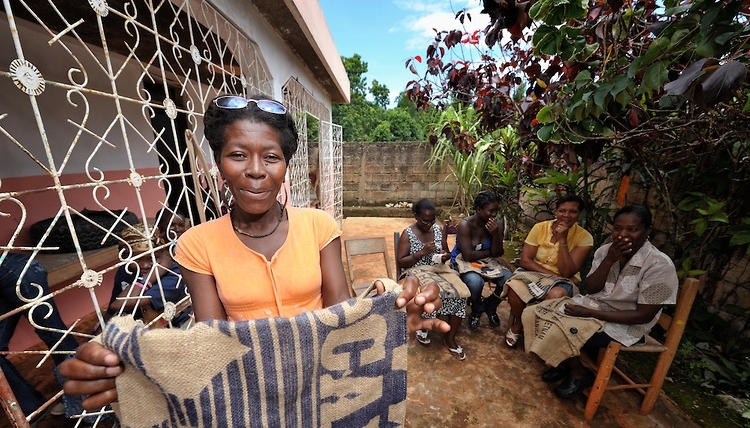 Haitian Artisans for Peace International began in 2007 by focusing on women from Mizak, Haiti and inspiring creative solutions for economic development. HAPI works to break the cycle of poverty, maternal and infant mortality and broken family systems by changing the trajectory of individuals, families and communities. HAPI focuses on community health, holistic education, and economic empowerment. The nonprofit's vision is to impact Haiti through developing a transformative community that can serve as a reference model for women’s empowerment, maternal health, education and economic development. Since 2007, many women have created their own artisan-based businesses. Since there are so few raw materials to work with, artisans use materials that are available. The community is rapidly developing as well. HAPI now has trained health care workers and a clinic. There is an active Peace Pal Children’s program meeting weekly. Several leadership and skill training classes have been offered and a clean water source has been added. Creativity works!